Davis has worked at the KPMG audit, tax, and advisory firm on compliance issues. WASHINGTON -- Volkswagen Group's U.S. unit said Thursday it has named a KPMG director, Stephanie Davis, as its chief compliance officer after it was sentenced in April in its diesel-emissions scandal. VW said Davis, 33, has worked at the audit, tax, and advisory firm on compliance issues. Last month, former deputy U.S. attorney general Larry Thompson was tapped to serve as independent monitor of Volkswagen for three years under a Justice Department plea agreement over its excess emissions. 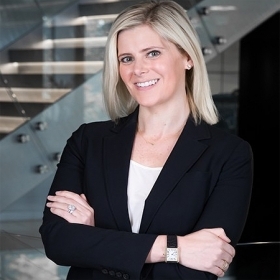 "Stephanie has a proven record of furthering compliance-related goals through pragmatic solutions that achieve measurable results," VW Group of America CEO Hinrich Woebcken said in a statement. "Her knowledge of U.S. automotive and environmental regulation and her experience as an accomplished compliance and ethics professional make her a valued addition to our leadership team."